It is hard to imagine life without Apps that simplify our day to day lives and the ones that look great as well deserve celebration. We give meticulous attention to detail in mobile application design process that enables us to create clean, concise and easy to use Apps. We build the apps that yields a great overall user experience align with business goals. Our UX designers have a keen eye for design and good aesthetic sense, programming skill coupled with good communication skills. They are comfortable designing for different devices and are expert in typography, layouts, color, artistry, user psychology. Our process includes sketches, wireframing, storyboarding and project planning so that development can be fast within budget. Testing is done at each stage of the user experience design process, this means testing after thumbnail, sketches, wireframes, and high-fidelity mockup. We test our apps through an in-depth quality assurance process, work out any potential bugs, kinks or issues to ensure that our original behavior related to design standards have been maintained. Mobile application design enhances user experience,it engages customers with offers and incentives in real time. Appropriate design patterns used in developments of applications make development fast and easily documented. Design patterns improve software development process. The benefit of design patterns lies in reusability and extensibility of the developed applications. It ensures ease with a good plan and a clear vision. Provide more value to the customers. It connects better with customers. It helps to build a strong brand. Smart widget design, icons, graphic designs, application UI, and themes. 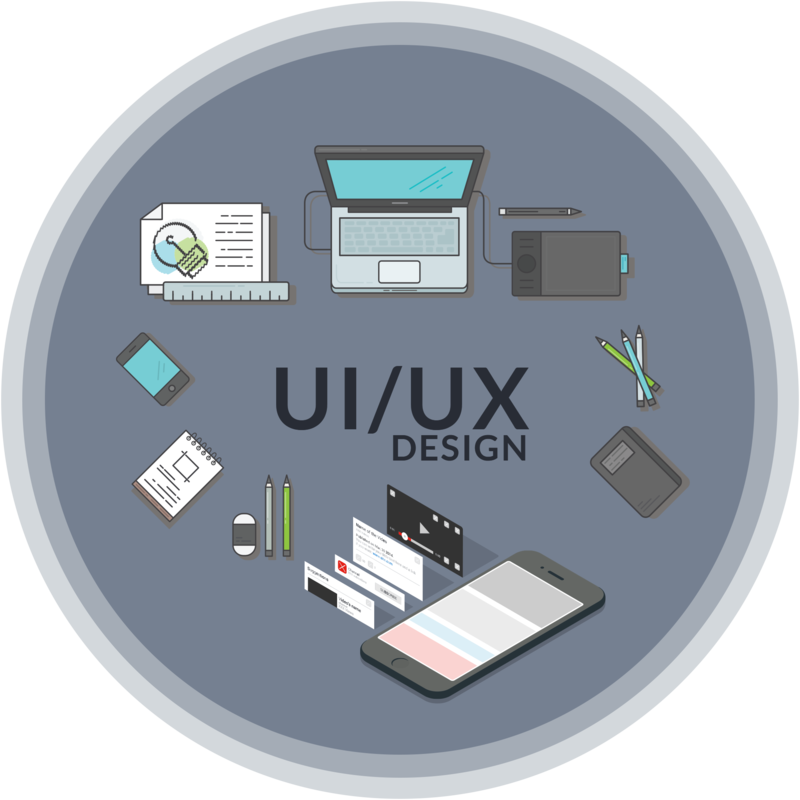 Our team of UI designers works to create mobile application design that will provide an unforgettable experience for the end user. They carefully study every facet of the new technology before practicing it.